This is a small, homozygous black, heterozygous polled bull, from exceptional parents, (both from our herd). He would be a good choice for producing a more compact calf that sports a lot of muscle mass. He has a very kind disposition. 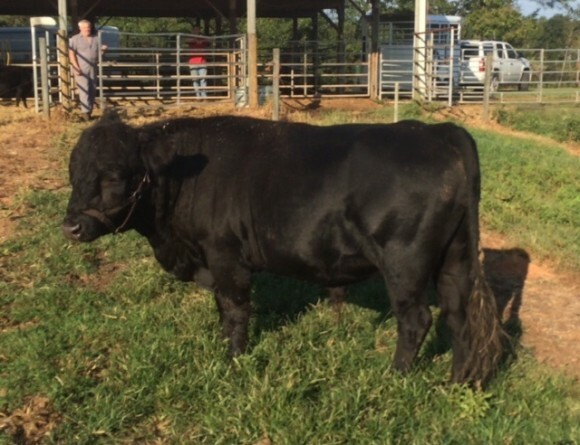 He was collected at request of one of our more-commercial producers and fills the niche for a homozygous black bull, (all calves will be black). We only have 50 straws available and they will be sold in groups of 10 to 5 buyers. Don’t forget to click on the names of the sire and dam, so you can see their pictures.